Without men's soccer leading scorer Jonny Forrest in the lineup, players like sophomore Garrett Heine will need to step up offensively for the Colonials. Men’s soccer is in a state of emergency. After losing five of the last six games, the Colonials must turn the corner in conference play, and quickly, if they hope to reach the Atlantic 10 Championships. Last season, they missed the postseason by a single win. But struggles continued for GW on Saturday in the team’s conference opener against Rhode Island. The Colonials, outshot 18-5 by the Rams, fell to URI 2-1. GW has played without two key players in recent games. Senior Andri Alexandersson has missed the past three games with an injury, and after playing limited minutes against Saint Peter’s and Longwood, junior Jonny Forrest has also been out with an injury for the past two games against Robert Morris and Rhode Island. Forrest leads the team with three goals, while Alexandersson leads with eight shots on goal and a .727 shots on goal percentage. Out of GW’s four wins in the season, both Forrest and Alexandersson have each netted a game-winning goal – with Forrest’s game winner coming against Harvard on Sept. 7, and Alexandersson’s coming against then-No. 22 Navy. The loss of Forrest and team captain Alexandersson are crucial for a squad that has been unable to generate offense in its last six games and has been outscored by opponents 15-5. While nine different Colonials have combined to score the team’s 13 goals through 10 games this season, GW has been unable to produce consistent offense and was shutout in four of its six losses. The Colonials’ recent skid comes after the team showed promise, starting the season 3-1 and outscoring the opposition 8-5. “We just want to get everybody fit and know that we have the full squad to pick from if we can,” head coach Craig Jones said Saturday after the team’s loss to Rhode Island. On the other side of the field, junior goalkeeper Jean-Pierre van der Merwe has struggled in front of the net after performing solidly in the season’s early going. While he ranks fourth in the conference in saves, averaging 4.7 per game, he does not rank in the top 10 in save percentage or goals against average. In recent weeks, van der Merwe has struggled defending against forwards in the open field, often coming off his line and leaving the net vulnerable when he is unable to get back. While Jones said van der Merwe’s performance against the Rams was an improvement from last week, he is unsure if van der Merwe will play or sit in place of junior Jack Lopez or senior Luke Farrell. Jones said the tools GW needs to succeed are present, but oftentimes either the offense is unable to keep up with the defense, or vice versa. “The pieces are there, its just putting them together and getting our defensive and offensive units on the same page and both producing, not one or the other,” Jones said. 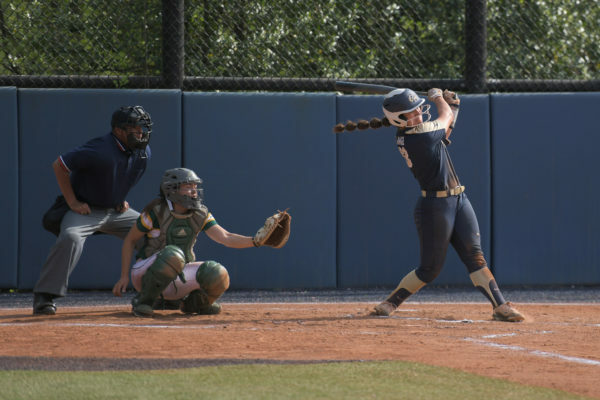 But with just seven games left in the regular season for the team to click as a unit on the field, the Colonials may find themselves in a similar situation – fighting to grab the eighth and final spot in the postseason. To do so, GW doesn’t have to knock off the top teams in the conference, but they must capitalize on the winnable games against weaker conference teams to steal wins from top A-10 teams. Here is a look at which squads GW will need to beat to make a run at postseason play. GW fell behind 3-0 last season against Saint Joseph’s before then-junior Farhan Khan scored with 86 seconds remaining in the game, bringing the score to 3-1 and preventing a shutout. Through its first 11 games of the season, Saint Joseph’s has been able to convert on goal scoring opportunities, outscoring opponents by a margin of 15-10. The Hawks have three players – junior Emmanuel Temeh, seniors Jake Nelson and Mike Glazer – who are tied with Forrest with three goals scored this season. This season, the Dukes are the top-scoring team in the conference, as they lead the A-10 in scoring at 1.90 goals per game and in shots averaging 16.30 shots per game. But on the defensive end, Duquesne ranks ninth in the conference in goals allowed, averaging 1.40 goals allowed per game. Individually, the Dukes are led by sophomore Kadeem Pantophlet and freshman Fredrik Borenstein, who have each scored four goals. The Colonials will face a tough matchup on the road Oct. 26, against a Duquesne team that is undefeated (5-0) at home. Last fall, the Colonials saw their season end with a loss to La Salle that kept them out of the playoffs. This year, GW takes on La Salle early under pressure to pick up points on the front end of conference play on Friday. La Salle is a team that creates opportunities, taking 12.82 shots per game to GW’s 11.40, but the Colonials have the edge in accuracy with 1.30 goals per game to La Salle’s 0.91. The Explorers have been slightly tougher on defense than the Colonials, averaging 1.41 goals per game to the Colonials’ 1.95. This is a beatable team for GW, but the Colonials will have to exorcise some of the demons of the past to do so. This season, the Colonials’ matchup against the Rams is the last major test they will have. 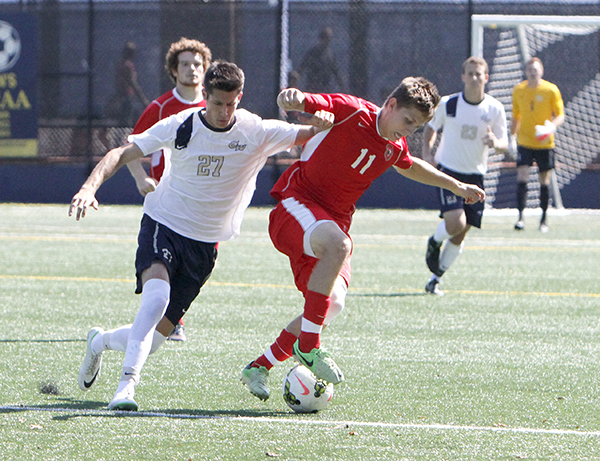 GW last played VCU in 2012, losing 3-1 after giving up three goals early. The Rams are 1-0-1 in conference play after defeating then-No. 20 George Mason and tieing Massachusetts. Despite a losing record, the Rams have played five top-25 teams this season, defeating Mason and No. 5 Georgetown. VCU lost to then No. 1 Notre Dame and then No. 15 Virginia by just a single goal. Rams redshirt junior goalkeeper Garrett Cyprus has a save percentage of 0.771, allowing 11 goals through 12 games.